You Can Train a Dog to Climb a Tree…But Why? Church leaders are notoriously famous for hiring the wrong people. Pastors often hire people who are passionate or competent or full of integrity—but lack all three. Unqualified hires lead to poor work, poor relationships, and lack of motivation. 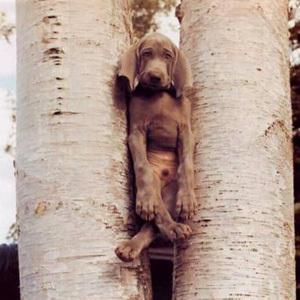 Without using good principles when you hire people, you will be hiring tree-climbing dogs. In Kingdom work, willingness is admirable but not enough. Integrity is essential, but good character may not insure excellent job performance. Competency is fundamental, but if an employee is dishonest, there will be problems. A prospective hire should want to do the work. A great hire wakes up in the morning with an “internal start button” and is autonomously motivated to make things happen. A prospective hire must have job-specific levels of competency. This doesn’t necessarily mean a candidate must be perfectly aligned based on their past work experience. That kind of idealism will also lead you nowhere. What to look for: During your interview process, you need to be able to see a correlation between the type of work they have done and the type of work you will be asking them to do. This safeguard protects you from hiring somebody who is passionate about the work but has no idea how to actually do it successfully. A prospective hire already has integrity BEFORE an official offer is made. Passion and integrity cannot be forced. Either the person you want to hire has it, or… they don’t. Do not put yourself in a situation in which you have a passionate and qualified candidate who is dishonest, impatient, or unstable. What to look for: During your interview process, ask the prospective hire questions about difficult work situations in the past and they were handled. Also, make good use of getting to know people before you hire them so you can get a good sense of their character before a job interview skews your clarity. This is an idea from Andy Stanley. A prospective hire must eventually develop chemistry with you and your team. While it is hard to determine chemistry during an interview process, you need to do your best to determine if there is enough evidence to move forward. What to look for: During your personal reflection time before you make an offer, ask yourself chemistry questions like… “Do I like this person?” “Could I see myself enjoying working with this person?” “Based on what I know this candidate, will our team’s chemistry grow or shrink as a result of this hire?” As a hiring manager, you are entitled to like the people you work with. To borrow language from Jim Collins, a pastor must find ways to get the right people in the right seat on the right bus. The right people are essential if you want to lead your organization to move toward all that God has for you and your church. Don’t Just Work In It. Work On It.